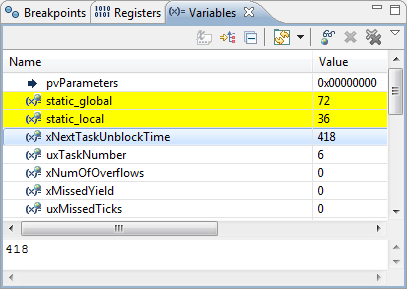 Debugging static variables, especially ‘static locals’ is sometimes challenging. Especially ‘static local’ debugging depends on the compiler capability how they are encoded in to the object file. I have found out that at least with CodeWarrior for MCU and ARM/Kinetis this works straight forward. Only ‘Watch Expressions’ need special attention. 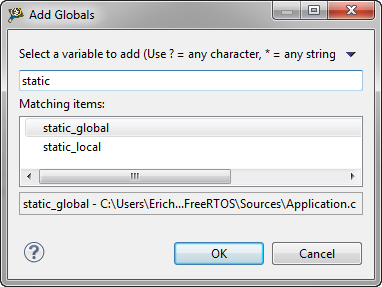 This code has a global static variable ‘static_global‘ and a static local variable named ‘static_local‘. ‘Static locals’ are special: they are like global variables, but with function scope. 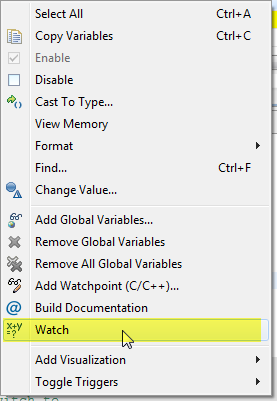 Eclipse has an Expressions view which allows me to enter an expression and to ‘watch’ it. However, if I try this it with my static variables, this does not work? Ahhhh! And here is the secret: I need to qualify my static variable to watch it in the Expressions view: ““FileName”::variableName”! This entry was posted in Debugging, Eclipse, Embedded, Tips & Tricks and tagged CodeWarrior, Debugging, Eclipse, Tips&Tricks by Erich Styger. Bookmark the permalink.